Joule has been ordered in 29th of October 1906 and her production started in 1st of November 1906. Joule was a brumaire class submarine that has been completed in 10th of May 1912 in Toulon dockyards in France. The name of the English born Physics James Prescott JOULE has been given to the ship. He died in 11th of October 1889 in Salts. 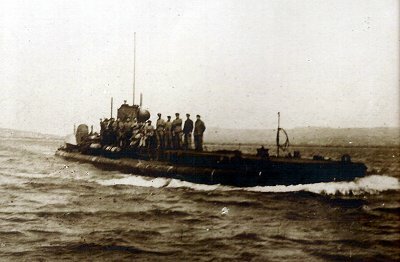 She has activated a few mines while trying to pass Canakkkale mine lines in 1st of May 1915 and sunked with all of her crew near Kephez point where the Canakkale strait is shortest. Offical French Newspaper wrote about joule in 6th of August 1915. The submarine is lying in 44 meters with her 29 crew without being ever touched. But because of the ship traffic at this point, it is impossible to dive to the submarine. He borned as the second son of Georges-Charles-Henri in Loudun in 7th February 1882. He was coming from a marine family. Her mother sent him to the School of Jesuits in order for him to get ready for the navy school. He joined the navy school as the 18th of the 100 person in 1st of October 1899, aged 17. He became captain in 26th of December 1911. 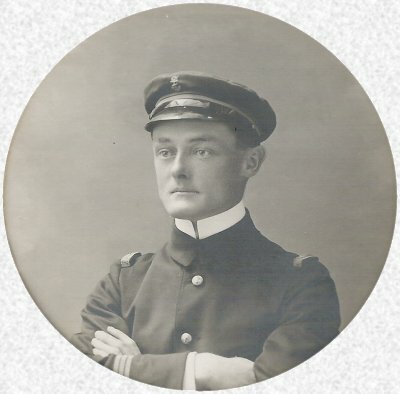 He has been assigned as the captain of the joule submarine in November 1914. He has been sent to Dardanelles in 15th April 1915 under the command of Admiral Boué of Lapeyrère. He has been ordered to pass the straits and attack to the Turkish transports in the 28th of April. But they strucked to a mine while passing and sunked. In the 2nd of May, Agamemnon found the residues of a submarine thaught to be Joule. Second man on the vessel was Sign Fortoul (G.L. ).